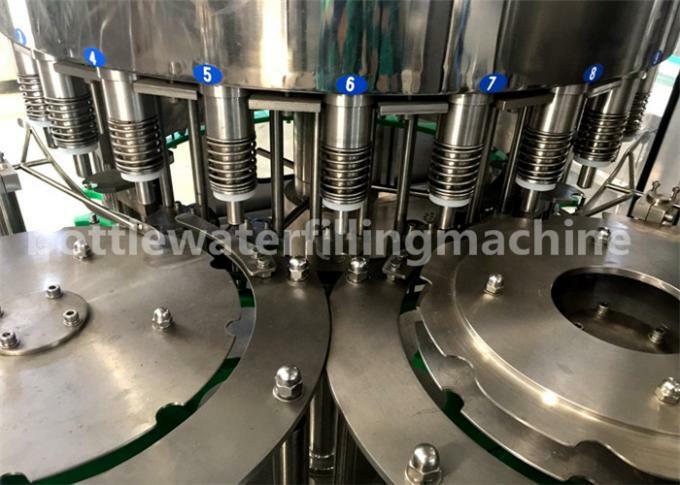 This water filling machine is with bottle rinsing, filling and capping monobloc for drinking water (non-carbonated) filling.PET bottles infeed by combination of infeed grippers, equipped with bottle jam protection device, the machine applies unique overturning bottle clamp, which is an innovation of our Zhangjiagang Jiayuan machinery company . 3. 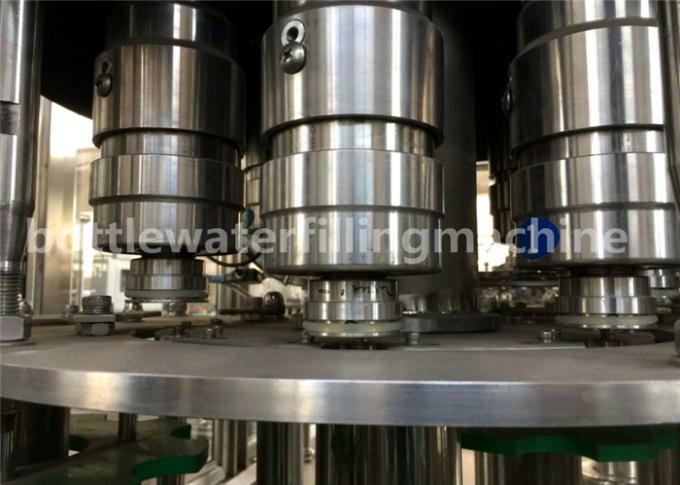 By adopting high speed filling valve, the liquid level is precise and no waste. That guarantees the demand of filling technology. 4. The capping head adopts constant torque magnetic device to guarantee capping quality and impact cap. 10. The main electric components, frequency, photoelectric switch, proximity switch, electric control valves all adopt imported components, which can ensure the quality performance. 11. 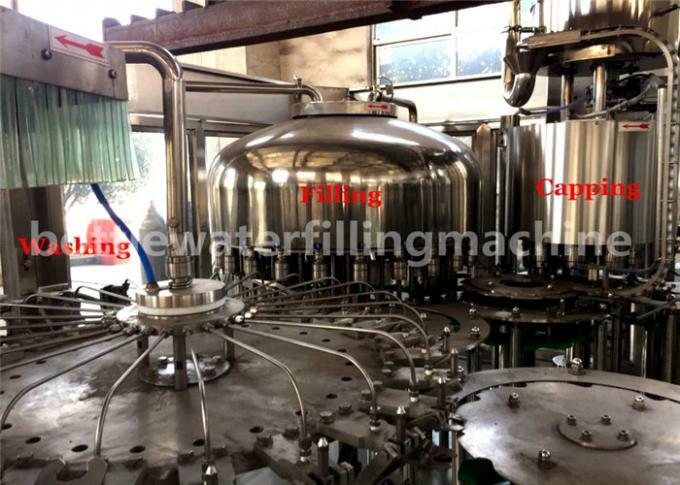 The control system has many functions, such as control producing speed, cap shortage detection, bottle block automatic stop and production counting etc. 12. The electric components and pneumatic components are all introduced from world famous brand products. 1. One year warranty for the whole system. 2. Free equipment installation and debugging. 3. 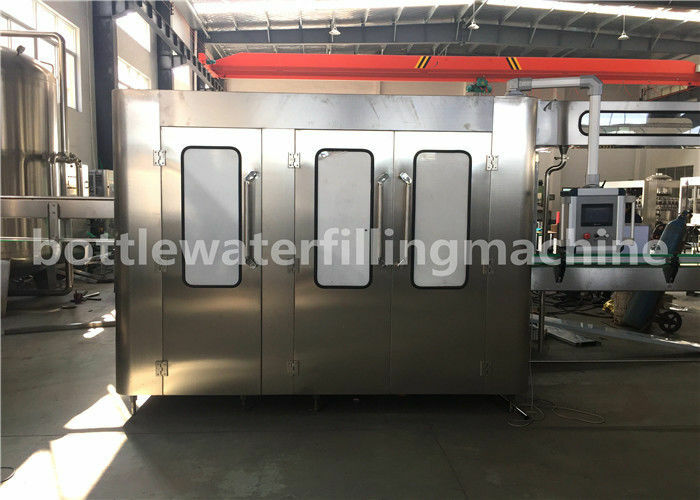 After one year, we can help you to maintain the machine and the accessories are provided only one the cost price. 4. We can provide internship service and help you train the operator and mechanic. 5. Free beverage production technology and process configuration. 6. We can help you to design the product line, workshop and provide turn-key project.